Thursday, May 3, 2018, was an exciting evening of celebration at Maggiano’s in Tyson’s Corner, Virginia. 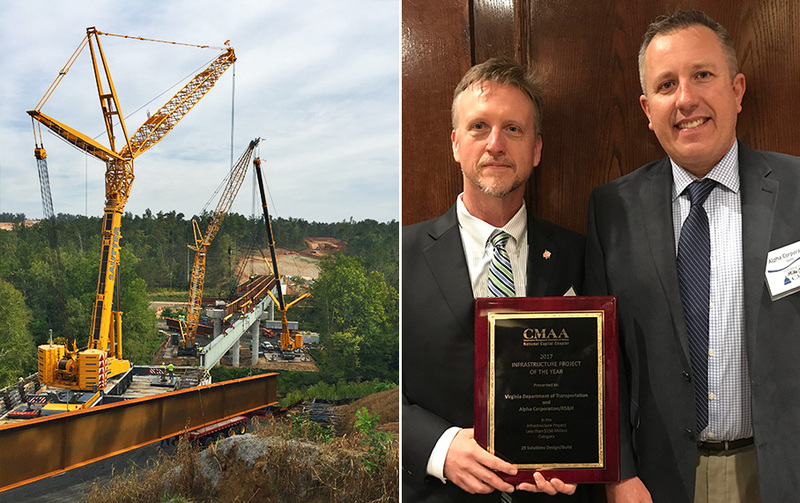 On this evening the Virginia Department of Transportation (VDOT), Alpha Corporation, and RS&H were recognized by the Construction Management Association of America National Capital Chapter (CMAA NCC) for the selection of the 29 Solutions Design/Build project as the Infrastructure Project of the Year for < $150M. 29 Solutions is a Regional Transportation Program undertaken by VDOT to improve safety and relieve congestion on the Route 29 corridor in Charlottesville. The Project was procured as a design build contract, and featured three major design-build construction projects under one contract. Unique challenges of the Project included construction under traffic, coordination of utilities, detours and lane shifts, maintaining access to businesses, and challenging terrain.